The Center for Community College Student Engagement is a research and service project of the Program in Higher Education Leadership in The University of Texas at Austin (UT) College of Education. The Center was founded in 2001 under the name Community College Survey of Student Engagement (CCSSE). Major grants from the Houston Endowment Inc., the Lumina Foundation for Education, the MetLife Foundation, the James Irvine Foundation, and The Pew Charitable Trusts have supported the Center's work. In August 2008, the Center moved off the UT main campus to accommodate growing operational needs. In conjunction with this move and in recognition of its broadening portfolio of services, CCSSE was renamed the Center for Community College Student Engagement. The Community College Survey of Student Engagement (CCSSE), conducted throughout the spring academic term. The Faculty Survey of Student Engagement (CCFSSE), a companion survey to the original student survey, conducted throughout the spring academic term. The Survey of Entering Student Engagement (SENSE), conducted in the fourth and fifth weeks of the fall academic term. The Center publicly reports survey results online at www.ccsse.org and www.enteringstudent.org stating, "This commitment [to public reporting] is critical because the Center aims to be a reliable source of information, a catalyst for open discussion of quality and performance in community colleges, and a tool that community colleges can use both for public accountability and to improve their practices...Because our data are public, we ask that the information be used responsibly." The Center has a formal policy statement on the responsible uses of CCSSE data." The Center also conducts qualitative research including interviews and focus groups through its Starting Right Initiative. In 2006, the Center completed a validation research study that established the relationship between student engagement and a variety of student outcomes in community colleges, including academic performance, persistence, and attainment. While previous research demonstrated a relationship between student engagement and positive student outcomes, and also provided examples of effective educational practices, the majority of such research was conducted within four-year institutions. For instance, of approximately 2,600 studies reviewed for How College Affects Students, no more than 5% of the studies focused on community college students. An examination of approximately 2,300 articles published in five major higher education journals between 1990 and 2003 found that only 8% mentioned community colleges. Since substantial differences exist between two-year and four-year institutions' missions, populations, and environmental characteristics, the Center's validation study was a notable contribution to the field. The community and technical colleges become Center members by paying to participate in one or more of the Center's national survey research projects. There are 1,173 community and technical colleges in the United States. The Center's membership includes more than 730 community and technical colleges from 49 states, as well as a few colleges in Alberta, British Columbia, Bermuda, Marshall Islands, Northern Marianas, Nova Scotia, Ontario, Quebec. ^ Pascarella, E. T., & Terenzini, P. T. (1991). How college affects students: Findings and insights from twenty years of research. San Francisco, CA: Jossey-Bass. ^ Pascarella, E. T. (1997, January/February). It's time we started paying attention to community college students. About Campus, 14-17. ^ Townsend, B. K., Donaldson, J., & Wilson, T. (2004). Marginal or monumental? Visibility of community colleges in selective higher education journals. Paper presented at the Conference of the Council for the Study of Community Colleges, Minneapolis, MN. 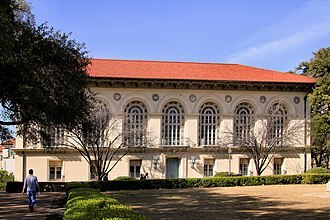 The Dolph Briscoe Center for American History is an organized research unit and public service component of The University of Texas at Austin named for Dolph Briscoe, the 41st Governor of Texas. The Center collects and preserves documents and artifacts of key themes in Texas and United States history, the Center has permanent and online exhibits available to the public. 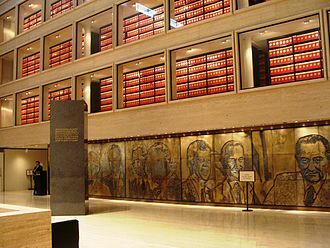 The Center has five divisions and Collections, the Military History Institute, the Sam Rayburn Museum, the Briscoe-Garner Museum, the Research and Collections Division is located on the University of Texas campus in Austin. 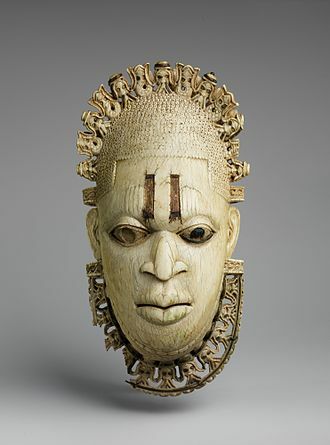 The Institute focuses on key military engagements of the United States and its collections are available for research and educational purposes. The Institute does outreach through conferences and lectures, the Sam Rayburn Museum is located in Bonham. It contains exhibits documenting the life and career of former Texas congressman, the Rayburn Museum became a division of the Briscoe Center in 1991 and is open to the public. The Texas Longhorns mens basketball team represents The University of Texas at Austin in NCAA Division I intercollegiate mens basketball competition. The Longhorns currently compete in the Big 12 Conference, the University of Texas began varsity intercollegiate competition in mens basketball in 1906. Among Big 12 Conference mens basketball programs, Texas is second only to Kansas in both wins and all-time win percentage. The Texas basketball program experienced substantial success during the decades of its existence. Since 1977, the team has played its games in the Frank Erwin Special Events Center. The team is led by second-year head coach Shaka Smart. Mainland had been a nationally known basketball player as a student at Wheaton College prior to coming to UT. His Wheaton team placed out of the three competing college basketball teams in the 1904 Summer Olympics in St. Louis, the first Olympic Games featuring the young sport. The Longhorns took the court for the first time on March 10,1906, Texas traveled to Waco two weeks for a three-game series with the Bears and won all three games behind the play of Mainland. The Longhorns ultimately won seven of the eight games scheduled in the programs inaugural season. Due to inadequate funding, the UT Athletic Council canceled the program after two seasons, leaving Texas without a basketball team for the 1908 season. The Athletics Council revived the program in 1909, owing in part to the efforts of Longhorn player Morgan Vining. Metzenthin finished with an record of 13–14, not until 1959 would another UT basketball coach leave with a losing overall record. Taylor, the Texas track coach, assumed head coaching responsibilities for the 1913 season. Taylor came to UT with a reputation for basketball expertise. At the conclusion of the 1912–13 academic year, the UTs Cactus yearbook declared and it always has been so considered until this year Prof. Carl Taylor took charge of the work and infused new life into it, L. Bellmonts teams contributed 25 victories to a winning streak that would ultimately grow to 44 games. Hendersons team recorded Texas third consecutive undefeated season in 1916 to extend the total to 40 consecutive victories. The University of Texas School of Law is an ABA-certified American law school located on the campus of The University of Texas at Austin. The law school has been in operation since the founding of the University in 1883, Texas Law offers both Juris Doctor and Master of Laws degrees. It offers degree programs with the JD, such as an MBA, MPA. In 2016 the law school was ranked No.14 in the nation by U. S. News & World Report, No.12 by Above the Law, Texas Law is consistently ranked among the top five public law schools in the United States. The school has ranked No.1 for the biggest return on investment among law schools in the United States, the school has 19,000 living alumni, over 4,000 of whom practice law outside of Texas. The law school has graduated the late U. S. Supreme Court Justice Tom C. Clark as well as a number of heads of state and corporate executives. According to Texas Laws 2014 ABA-required disclosures,77. 8% of the Class of 2014 obtained full-time, long-term, Texas Law is among the most selective law schools in the nation. For the class of 2018,4,303 students applied and 21. 9% were accepted with a class median LSAT score of 167, the median GPA for the admitted class is 3.73. The average age of admitted students is 24, and women make up 47% of the class, Texas Law admits students from over 22 US states. Emphasizing its role as an institution, Texas Law reserves 65% of the seats in each first-year class for Texas residents. In 2014, the law school was the subject of a scandal, currently under investigation by Kroll. Records obtained through the Texas Public Information Act revealed that students were admitted with LSAT scores as low as 128. In connection with the inquiry, a study of those UT graduates who failed the Texas Bar on multiple occasions included children of legislators, legislators. The law school suffered one of the lowest bar passage rates in all of the law schools in February,2014. 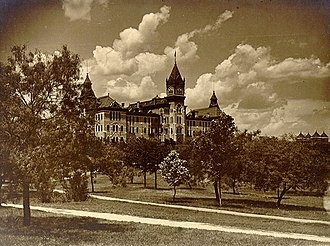 The bar passage rate was the lowest of all Texas schools, the University of Texas School of Law was founded in 1883. In 1914, the school created its first course on oil and gas law, the school was sued in the civil rights case of Sweatt v.
The Texas Longhorns baseball team represents The University of Texas at Austin in NCAA Division I intercollegiate mens baseball competition. 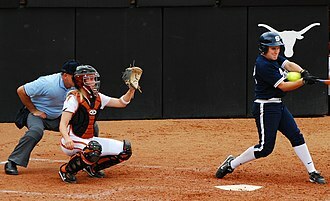 The Longhorns currently compete in the Big 12 Conference, the University of Texas began varsity intercollegiate competition in baseball in 1894. Texas is the winningest NCAA Division I college baseball program in terms of win percentage, the Longhorns rank second in all-time wins as of May 26,2015, behind the Fordham Rams. As of the end of the 2015 conference season, Texas has won 77 regular season championships and 16 conference tournament championships in baseball. From 1997 to 2016, the Longhorns were led by head coach Augie Garrido, the team plays its home games at UFCU-Disch-Falk Field. The Longhorn baseball program has been stable over the last century. Since 1911, it has had only four full-time coaches—Billy Disch, Bibb Falk, Cliff Gustafson, David Pierce, head coach at Tulane University, was hired as Texas new head coach on June 29,2016. The Longhorns have won titles in 1949,1950,1975,1983,2002. The Texas Longhorns baseball team started in 1894, with the first game in 1895, records from the first two years are incomplete. The first collegiate victory was over Add-Ran College, what is today Texas Christian University, seven different managers, including some that were the schools football coach, led the team. Four times, the team won a title, including one in the Southern Intercollegiate Athletic Association. 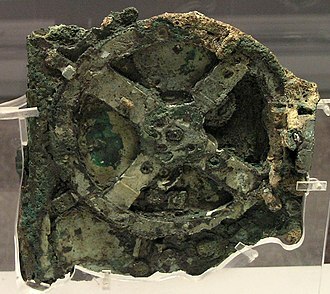 The team played its games in the first Clark Field during this time. In 1911, Billy Disch took over the reins of the program, Disch retired following the 1939 season. During this time, he led the Longhorns to 22 conference titles and this included a run of 10 consecutive conference titles from 1913 to 1922. Disch won 465 collegiate games during his tenure with the Longhorns, in 1928, the team moved to the second Clark Field, which was famous for its limestone cliff and goat path in left-center field. In 1940, former Longhorn baseball and major league outfielder Bibb Falk became the head coach, except for a three-year period from 1943 to 1945, during which the team was led by assistant football coach Blair Cherry, Falk coached the team until 1967. Texas Longhorns athletics programs include the extramural and intramural sports teams of The University of Texas at Austin. 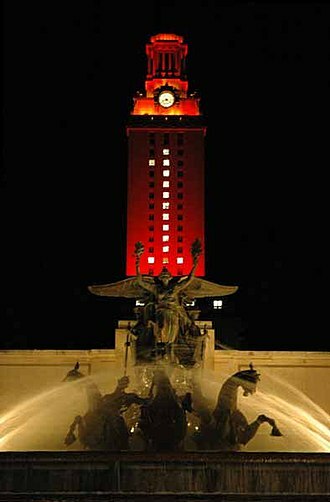 The University of Texas at Austin is the institution of the University of Texas System. The womens teams are called the Lady Longhorns, but generally both the mens and womens teams are referred to as the Longhorns, and the mascot is a Texas Longhorn steer named Bevo. The Longhorn nickname appeared in Texas newspapers by 1900, the University of Texas at Austin offers a wide variety of varsity and intramural sports programs. Due to the breadth of sports offered and the quality of the programs, Texas was listed as the number one Collegiate Licensing Company client from 2005–2013 in regards to the amount of annual trademark royalties received from the sales of its fan merchandise. A charter member of the Southwest Conference until its dissolution in 1996, the schools colors are officially Orange and White, with Burnt Orange — known as Texas Orange – being the specific shade of orange used. The University of Texas Longhorn Band performs the alma mater as well as the university fight song at sporting events. Over the years, Longhorn sports teams have won 52 total national championships,44 of which are NCAA National Championships, the University of Texas currently fields a varsity team in nine mens sports and eleven womens sports. They are, Two Texas Longhorn running backs have won college footballs most prestigious individual award, seventeen Longhorn players and two Longhorn coaches have been inducted into the College Football Hall of Fame, while four are enshrined in the Pro Football Hall of Fame. Other Longhorn players have received recognition for their performance. Texas is the third ranked NCAA Division I FBS program in football history, in terms of total wins. As of the end of the 2015 season, the Longhorns all-time record is 886–354–33, the University of Texas team plays home games in Darrell K. Royal-Texas Memorial Stadium which has a seating capacity of 100,119. Renovations began on the stadium November 14,2005, two following the last home football game of the 2005 season. The Lyndon B. D. in Public Policy. The school offers a Ph. D. in Public Policy, as of 2011-2012, the LBJ School has graduated 3,508 masters degree students since its first inaugural class of 1972, as well as 56 Ph. D. students from 1992 to August 2013. The school offers a Portfolio Program in Arts and Cultural Management and Entrepreneurship, the school sponsors a variety of non-degree programs for public affairs professionals. In 2013, the LBJ School launched a new Executive Master in Public Leadership for mid-career professionals, the first of its kind in Texas, the EMPL at the LBJ School of Public Affairs is a blending of rigorous academic studies and practical learning. The Lyndon B. Johnson School of Public Affairs is committed to improving the quality of service in the United States and abroad at all levels of governance. Many of the Schools centers sponsor a range of activities, including conferences, workshops. The Center partners with a range of stakeholders to conduct timely, relevant research and to translate research into effective policies. The Centers research addresses pressing issues in philanthropy, nonprofit management, social entrepreneurship, the Great Society Fund was created by the class of 2005 to finance innovative social entrepreneurship projects started by LBJ students and alumni. The Baines Report is the student publication of the LBJ School of Public Affairs. Led by students, the Baines Report publishes student opinion pieces and these are the schools alumni chapters, Austin Alumni Association http, //www. lbjalumni. org Association Webpage] Washington, D. C. Alumni Chapter 1972 Allen E. Pritchard, Jr. incoming Vice President, National League of Cities 1973 J. J. Jake Pickle, congressman from Texas, member of the House Ways and Means Committee 1974 Richard W. Bolling, U. S. Senator from Colorado 1987 James C, wright, Jr. Speaker, U. S. House of Representatives 1988 Yvonne B. Steinberg, Deputy Secretary of State, U. S. Department of State 2011 Kathleen A. Merrigan, news & World Report, down from 9th in 2004, 7th in 2002 and 5th in 1998, but up from 16th in 2012. The Texas Student Media building was officially renamed the William Randolph Hearst Building in 2009, after a significant donation from the Hearst Corporation. A portrait of Lady Bird Johnson in the Texas Hill Country. The north end zone after stadium expansion (before the 2008 season). Exterior facade of the new north end zone seating. Godzillatron and the south end seating as seen from the old north end in 2006. Donald Evans, former U.S. Secretary of Commerce under George W. Bush, received an MBA from McCombs in 1974. The Longhorn baseball team gives the Hook 'em Horns sign after a game. The College of Education is housed in the George I. Sanchez Building on the University of Texas campus in Austin, Texas. Among the members of The Board of Regents were former Texas governor Allan Shivers and former First Lady Mrs. Lyndon Baines Johnson. The Robert Lee Moore Building (left), the Molecular Biology Building (middle), and the Neuromolecular Sciences Building (right). The research building under construction in 2016.